The home-made grandmas Foccacia was the highlight of the trip! Gastfreundschaft mit Keksen und selbst gekelterten Wein. Sehr große Terasse mit Blick aufs Meer. Ausstattung der Wohnung sehr gut, ruhige Lage, sehr nette Vermieter, Mückengitter an allen Fenstern. Sehr liebenswerte Gastgeber. Wir wurden mit feinem Gebäck und Wein überrascht. Sie waren sehr umsorgt, dass es uns gefällt. Das Appartment war gut ausgestattet und schön eingerichtet. Neue, schöne dusche. Die Wohnung war sehr ruhig gelegen und in unmittelbarer Nähe zum Strand, Zentrum und Restaurants. Gerne wieder! Großzügige Unterkunft mit schönem/großem Balkon und Aussicht. Strand, Supermarkt und Restaurants in unmittelbarer Nähe. Wanderweg auch fußläufig erreichbar. Einfach super! Tutto come da descrizione. I proprietari sono molto gentili e riservati. L'appartamento è molto carino e confortevole. Il porto è vicinissimo. La spiaggi si trova a 10 minuti a piedi. 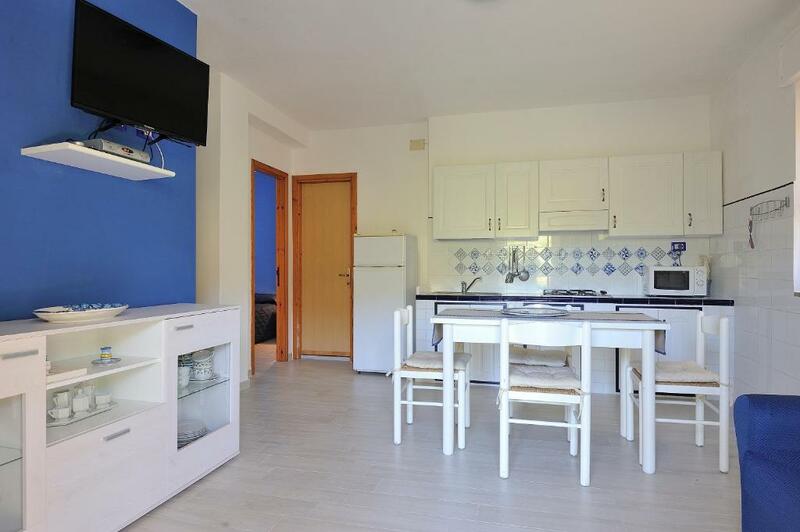 Lock in a great price for Apartment Dissoro – rated 9.2 by recent guests! A 5-minute walk from Santa Maria di Navarrese marina, Apartament Dissoro offers colorful apartments with a small veranda and shared BBQ facilities. Free WiFi is available in public areas. The apartments all overlook the Mediterranean Sea, and include a TV, kitchenette with fridge and a bathroom with a hairdryer. Apartment Dissoro also provides free parking, and is a 3-minute walk from the San Giovanni gravel and pebble beach. The center of Santa Maria Navarrese is 1,000 feet away. A 20-minute drive will take you to Arbatax Harbor, where ferries to the Italian mainland leave. This is our guests' favorite part of Santa Maria Navarrese, according to independent reviews. This property is also rated for the best value in Santa Maria Navarrese! Guests are getting more for their money when compared to other properties in this city. 뀐 Located in the top-rated area in Santa Maria Navarrese, this property has an excellent location score of 9.2! When would you like to stay at Apartment Dissoro? Colorful apartment with a small veranda and views of the Mediterranean Sea. Features a TV, a kitchenette with fridge and a bathroom with a hairdryer. House Rules Apartment Dissoro takes special requests – add in the next step! Please inform Apartment Dissoro of your expected arrival time in advance. You can use the Special Requests box when booking, or contact the property directly using the contact details in your confirmation.